ELIZABETH CITY, NC – If there's anything we can say about the future of vehicle technology, it's that in-car connectivity will continue to advance! We've already seen that trend in action and it's taking the next step right in front of our eyes with the NEW OnStar AtYourService feature offering in-car shopping! 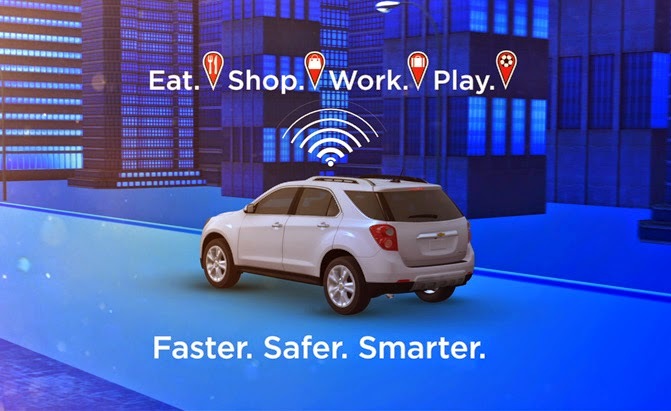 Part of many additions to GM's OnStar service this year, the New OnStar AtYourService feature will offer in-car shopping by connecting drivers with retailers! With the new GPS-based feature, OnStar will be able to recognize participating hotels and retailers, and will provide general information on stores and restaurants, as well as occasional coupons to help you save money! Plus, it will also be able to make hotel reservations while you're in the car and on the go! Dunkin' Donuts, Priceline.com, RetailMeNot, Entertainment Book, Audiobooks.com, and Parkopedia are just a few of the companies that have already partnered with OnStar AtYourService to provide subscribers with helpful information, coupons, and more! So now, when you get behind the wheel you'll be able to do even more (like shop from your car) while keeping your hands on the wheel and eyes on the road! Sounds like the best of both worlds to us! This year, General Motors is adding several additions to its OnStar service so make sure to come see us to make sure you're getting the most out of your subscription! Perry Auto Group has two dealership locations to serve you better at 1005 W. Ehringhaus St, Elizabeth City, NC, 27909 or 1001 Halstead Blvd Elizabeth City, NC 27909. Stop in for any of your auto or community needs, or feel free to give us a call at (252) 338-9100.